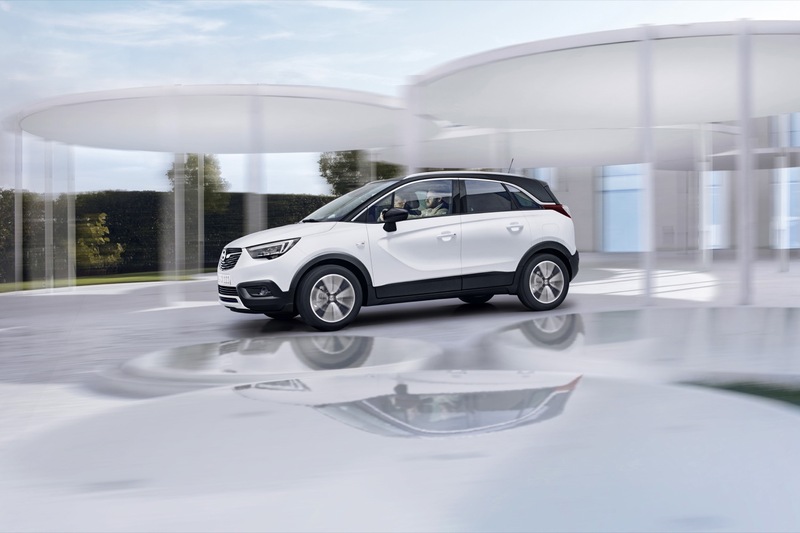 Opel recognized that the MPV segment has continued to shrink as crossovers bring similar utility in a more stylish wrapper. 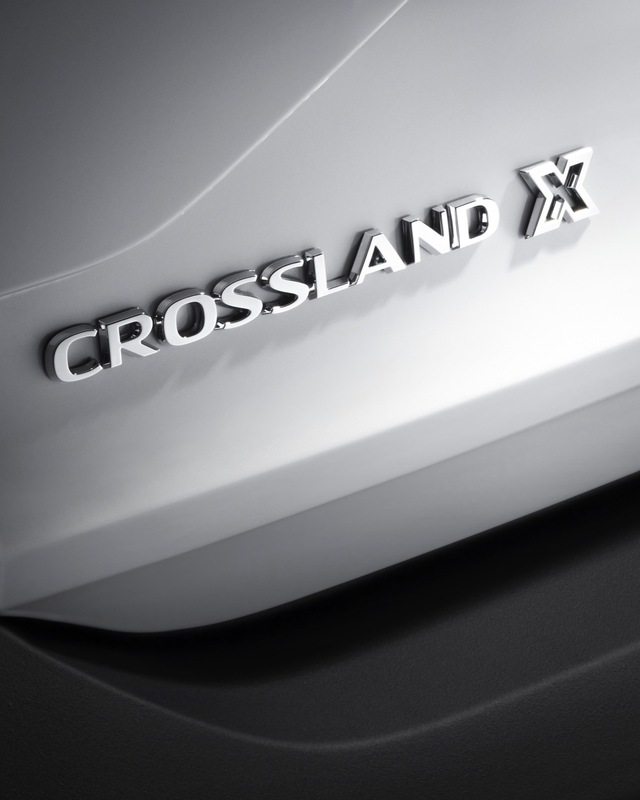 Therefore, through the GM-PSA alliance, the Crossland X was born, and it has been revealed in all its B-segment glory. 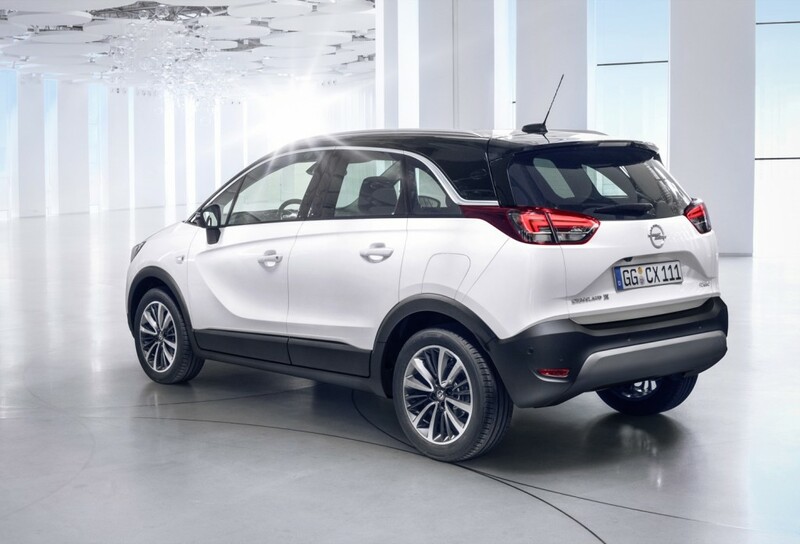 Opel clearly has high hopes for the B-segment crossover-like MPV, which looks to build upon the success of the Opel Mokka X. Foremost, the Crossland X replaces the Meriva and kicks off Opel’s “7 in ’17”, in which the brand has committed to reveal seven vehicles this year alone. 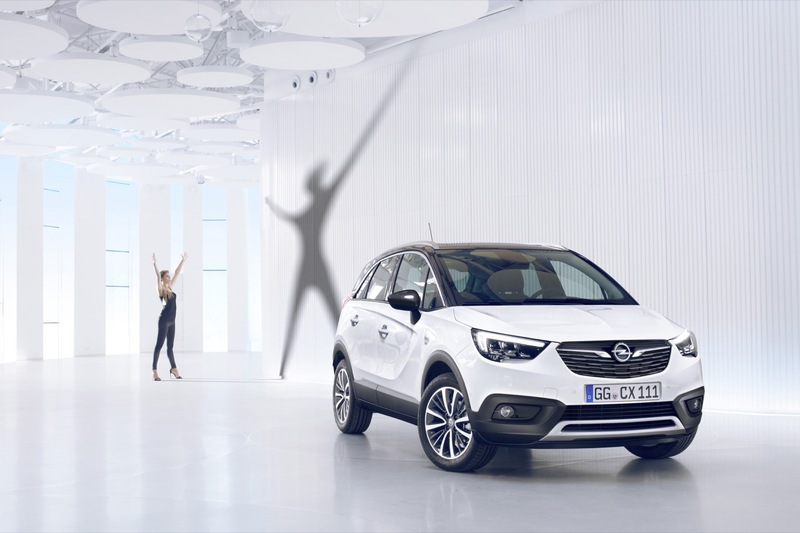 The crossover hauls in stylish appointments and urban functionality, and Opel foresees the Crossland X as “predestined for urban areas” and ready for holiday no matter where that may be. 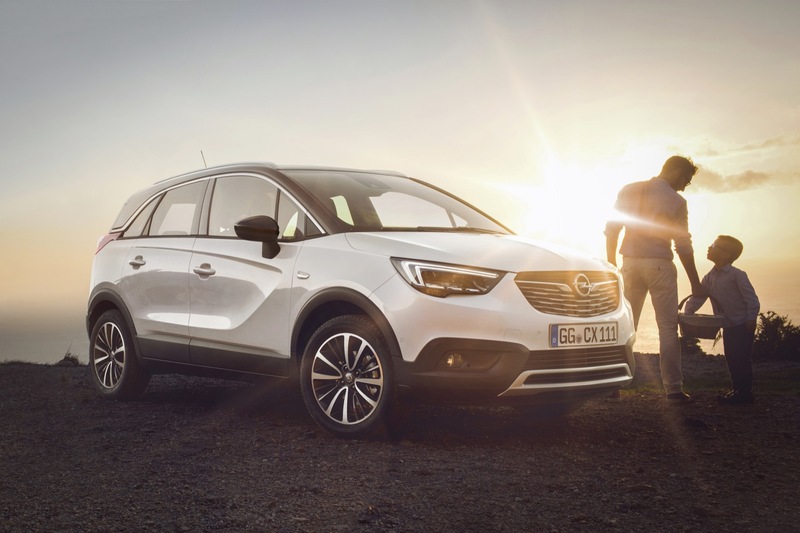 The powertrain for the 2017 Crossland X were not revealed as part of the the announcement, but Opel says to expect gasoline, diesel and LPG (liquified petroleum gas) engines. Manual and automatic transmissions will also be available. As mentioned in the title, the Crossland X has Opel Meriva-sized shoes to fill. 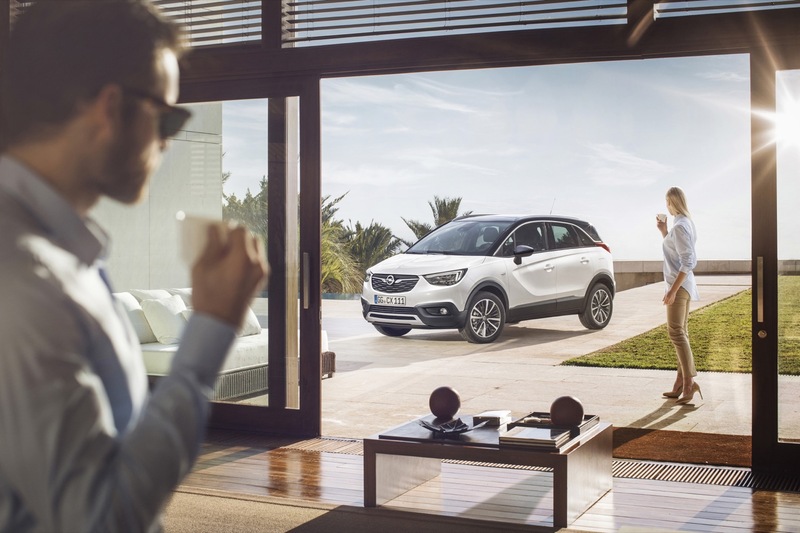 To that, Opel thinks the crossover will deliver. 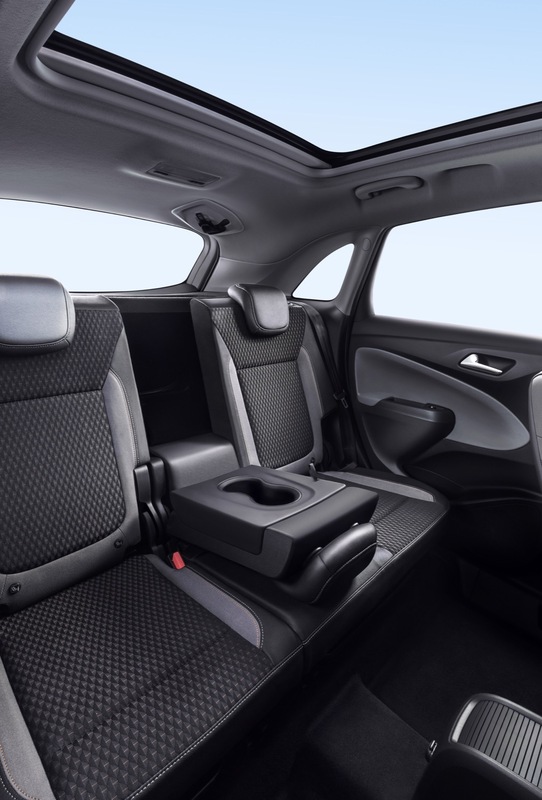 While the Crossland X measures in at 165 inches long and 69 inches wide, cargo space is anything but compromised, as the vehicle has 44 cubic feet of cargo space when the seats folded down completely. The rear seats also slide 6 inches forward and back. The exterior design is a familiar execution: the front fascia borrows heavily from the 2018 Opel Insignia Grand Sport and 2017 Mokka X, which we’d say is hardly a bad thing. The biggest departure is the roof, which as you can see, is completely blacked out for the ultimate “floating roof” treatment. 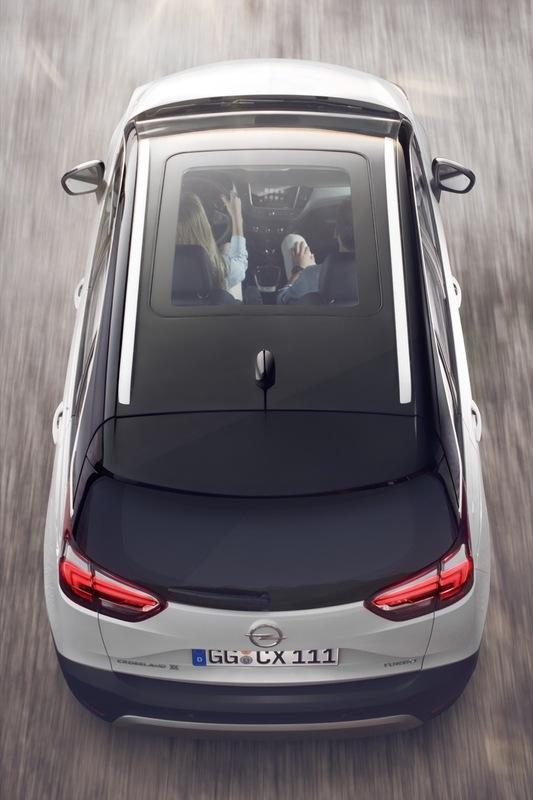 Opel also says customers may order different colors for the roof, much like the Opel Adam. 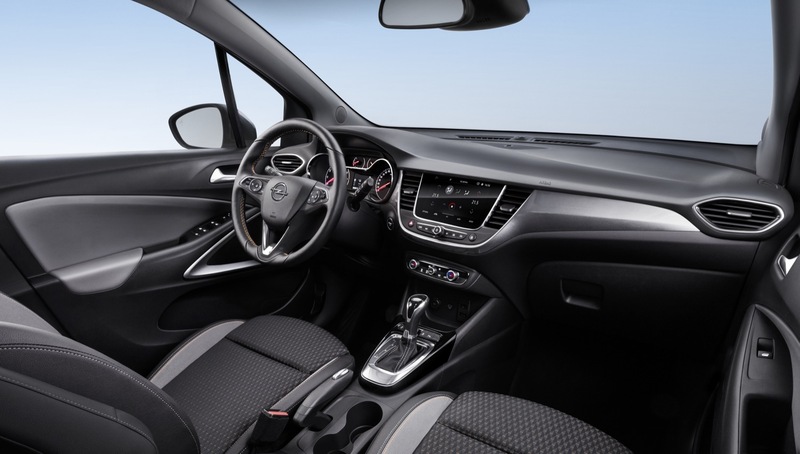 If you dig the Astra K’s interior cabin, the Crossland X will suit you well, too. A similar design layout is present, along with what looks to be high-quality materials adorning various touch points and other important areas. Of course, a flush, eight-inch infotainment display is front and center and is compatible with Apple CarPlay and Android Auto. In addition, the Crossland X is chock full of active safety features as well, including the Opel Eye camera, which gives life to such features as Lane Keep Assist, Speed Sign Recognition, and Forward Collision Alert. 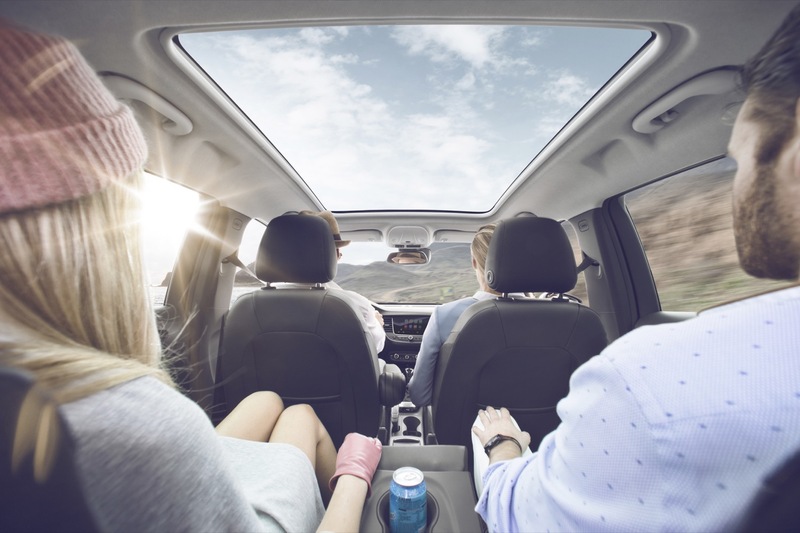 Opel will also introduce a Driver Drowsiness System to monitor driving behavior, which recommends a break if certain behavioral patterns are recognized. In addition, Opel’s award-winning Adaptive Forward Lighting system is also present and accounted for. We expect more details surrounding the 2017 Opel Crossland X to be shared when Opel takes to Berlin, Germany to officially unveil the model in February 2017.
this is so bad. why. Plastic 3D printed car. who is disainer- who is responsible. I am crying. something strategy like opel karl. I hope that this car is going very badly. whether the designer has died. or who designs cars, old meriva is better qality, design and all other than this new crap. this is comedy cheap, low cost strategy live or die like KARL. and they want make money and reputation and other future. how bad can goes car and things like this crap…..
It’s no wonder car makers struggle to make a profit, back in the day each had their niche & each did what they was good at. Now we have everybody trying to do it all with many loosing money & market share. Who is asking for these cars, nobody it’s just a fashion faze. MPV & SUV ranges that date quickly & go from looking the latest thing to old hat in quick time. Give me a proper car (A to E segment) every time, I want the best & it will last so I need to be happy with it. Not some passing faze. Maybe it needs Land Rover to build a 2 seater mid engined sports car for manufactures to see sense & go back to building what there good at & again everyone having their niche & all making a decent profit as well. This thing is going to be a HUGE seller. As an Encore (Mokka) owner I’m keenly aware of the two shortcomings of my car: backseat could be a little bigger and to the ‘boot’ as well. This car solves both problems without over-doing it. Agreed! I (mostly) love this oversized Adam. I’m a sedan person, but respect all smart design, and live the floating roof line and Dodge Charger-like character lines. I wish that this was coming to N A, but am not sure how the PSA deal works. CUV/SUVs are a huge fad now, and a larger than average line up will benefit Opel in the short term. Is it even coming to America? Can you please stop trolling? Why is the Karl crap? It’s an entry level car!! The only crap I see on gmauthority are your never ending “crap-comments”. Meriva didn’t need replacing, they’d sell more Mokka & Astra if they didn’t have Meriva. I’m a fan of Opel. My heart belongs to Opel. However, this does not mean that I’m only using Opel. I feel the interest in Opel, and hope that things will go well. in fact, not even the new Opel Astra good.Although he has received medals but it does not mean anything. I am interested in real terms than the level of the car. No pointless lie. it makes no sense to lie to yourself.now you can even check everything on the internet. But i know this is GM and opel new strategy partially. However, it seems that the new employees are some things gone more negative. I want to know who designed this car, some student or blind or somethindg else like robot………….. In an effort to stop you keep moaning – the head of design is Mark Adams who is neither a student or a robot, he is probably one of the most talented Director of Design that GM in Europe has had for a very long time. Design & Styling is subjective, to simply call everything crap without any justification has no validity. The Vauxhall Viva / Karl is not crap it is a highly competitive entry level car that is important to GM in Europe. The new Crossland X is a joint venture with PSA using their EMP2 Platform and therefore placed constraints on Vauxhall / Opel designers in terms of size and packaging as to what they were able to do. I think it’s design cues fit in perfectly with the rest of the Vauxhall / Opel range. Personally it is not a car I would buy because I do not need and am not a fan of SUVs BUT I recognise that at the moment they are the type of vehicles that appeal to a wide market and therefore it is an essential addition to the Vauxhall / Opel range in order to compete effectively with rivals. Yes Mark Adams is boss but workers do design, bad workers.Like Barra no built cars Barra is boss. Great design with awesome practicality and utility. They’ll sell way more of these then Cruzes if they bring it to the US. 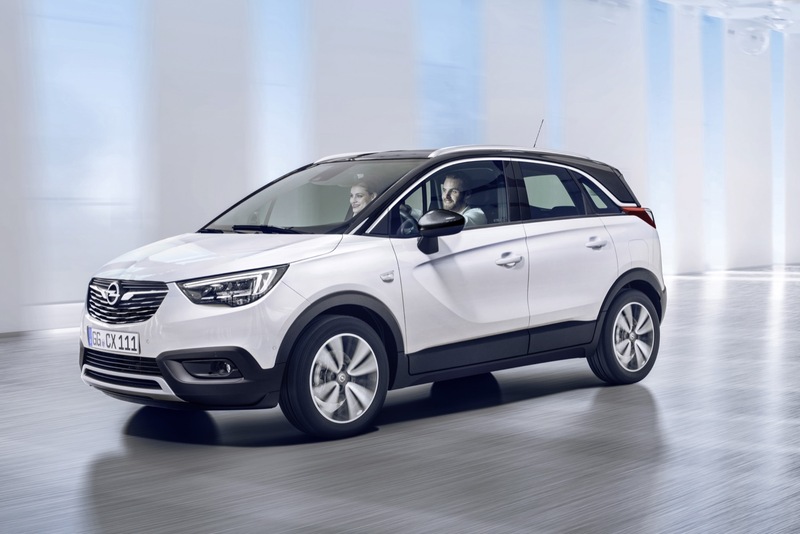 Anyone else remember all the moaning when GM announced the Opel Mokka would be sold as the Buick Encore in the US? Too ugly, too small, engine is too small, not a real Buick, will never sell, no one will want it, destined for failure, etc. blah blah blah. All that noise seems to have died off since the Mokka / Encore became the best selling Buick in the US. Cough. This Crossland X reminds me (spiritually at least) of a Kadett B Caravan. Perhaps they could sell it in the US badged as a Buick Opel Kadett. The Meriva was a nice affordable mpv. We can get the Life model for less than 13 k (pounds). As soon as I heard about this new model I groaned. Sure enough the cheapest Crossland model starts 4000 quid higher effectively taking beyond our means. Thanks GM.